Pretty much every day I get emails from moms who follow one of my pages and they want to know what I do, how I make money, and how they can do it to. Being a mom is a tough job, you are the driver, the chef, the referee, the doctor, the teacher, the play mate, the… you get the idea. You wear a lot of hats when you’re a mom. But with motherhood often comes a lack of identify; for many. We get so consumed in our roles we forget to care for the one person who is caring for everyone else. I’ll be the first to admit that I have absolutely lost myself in the mom role. If i’m focusing on my kiddo, my husband, and my house 100% of the time for an extended period of time I do get brunt out some times. Which, to be honest, is exactly why I started my business. I needed something for ME. I needed to have a sense of identity outside of my mommy role. Please don’t misunderstand. The role of “mom” is the MOST important roll in the entire world to me. I love my kid, I would move heaven and hell for him, I would walk to the ends of the earth for him, he is my first thought in the morning and my last thought at night. But that doesn’t mean there can’t be a smidge of something for me. Taaaddaaaa www.AtHomeEntrepreneur.com was born. I knew that I had something to share, I knew that I had an audience who could relate to the above feelings, I also knew that I wanted to create an income, from home, that would help my family pay for things, take trips, enjoy life with. I want nothing more in my life than to be a stay at home and present mommy. My husband and I have no interest in daycare for our son, totally our preference, we want to homeschool him, and we want to spend as much time with him as possible. That’s exactly what the mompreneur life can create. You might be thinking that being a mom doesn’t allow you time to learn how to start a business. But here’s a little secret, starting an online business is NOT rocket science and I want to show you how to get started making money now! Figure Out Who You Want To Help– This is pretty much the key starting point for any business (online or brick and mortar). You need to know who you’re helping so that you can figure out where online they are hanging out and then you get in front of them. You need to break down the “who you’re helping” into small bits like how old they are, what gender they are, what their interests are, their income level, etc. Don’t think this is the end all be all, you can expand your “who” as your business grows. Figure Our What Problem You Can Solve For Your “Who”– You MUST be able to solve a problem in order to “sell” your product. You can create calendars, pre-made meal plans, homeopathic remedies, business coaching, family planning, etc. Whatever it is you must be able to teach your audience something that they themselves had not figured out yet. Just like when you decided one day you wanted to learn how to play the piano you reached out and found a piano teacher, it’s the same principle for your business. If someone is sitting down thinking “I want to learn to xyz” your business could pop into their minds. Create a Program/Course/Handout/Training Video/ Etc To Help Solve The Problem– You have figured out who you want to help, you have figured out how you can help, now it’s time to create something that will help. I LOVE workbooks, e-course, pdf’s, video tutorials, but you’ll find what you love doing best in time. You can create something that offers step by step instructions on how to solve your audiences problem. Make the steps bite sized so they truly understand how to get from A to Z with what you’re teaching. Set Up A Payment Processor (So You Can Make The Monies! )– Once you’ve built your for sale product you then need to set up a way for people to pay you for this new product. There are TONS of ways to do this, there are tons of payment processors out there but i’m going to share with you some of my favorites. Gumroad (this is my number one favorite), Course Craft, SendOwl, and e-Junkie. I love these because they automatically send your product once someone purchases it AND they integrate with most major e-mail marketing systems like the one I LOVE ConvertKit. E-mail marketing is a fantastic tool because you can e-mail your customers which can be amazing for marketing when you build your next product. Create A Sales Page– You need to create a sales page, somewhere where your clients can go to and buy your product! I LOVE using my word press site to create hidden pages, it helps keep all of my work on one site-my website. I also really love the clean look and feel of Lead Pages! Promote!!!!!!!! 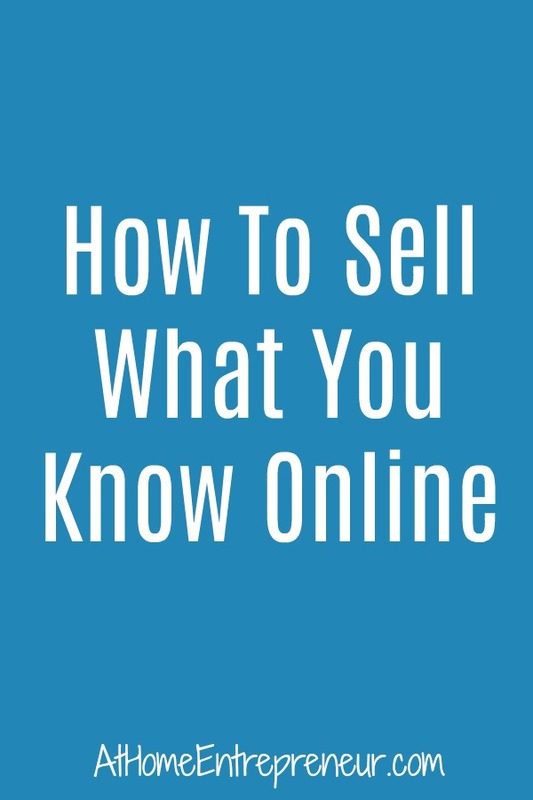 – Last but not least, it’s time to promote what you’ve got so that people know what you have for sale! The more you share what you’ve got the more people will recognize you and what you do and how you can help. While I certainly won’t say that I am the “best” at marketing, I will say that I show up EVERY single day and I am well known for what I do among my target audience. Showing up, sharing how you can solve XYZ will be the TOP way to grow your income. 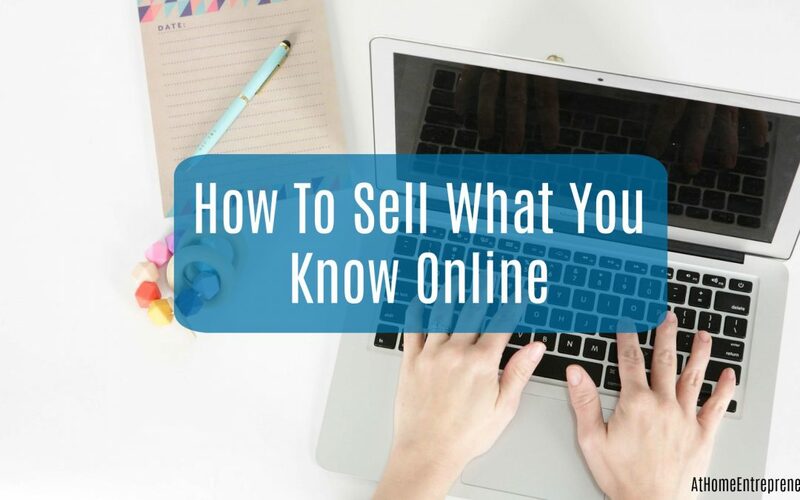 Yes, you do need some background knowledge to start a business but I’m here to be as transparent about that process for you as I absolutely can be. I want as many of you to succeed as humanly possible. 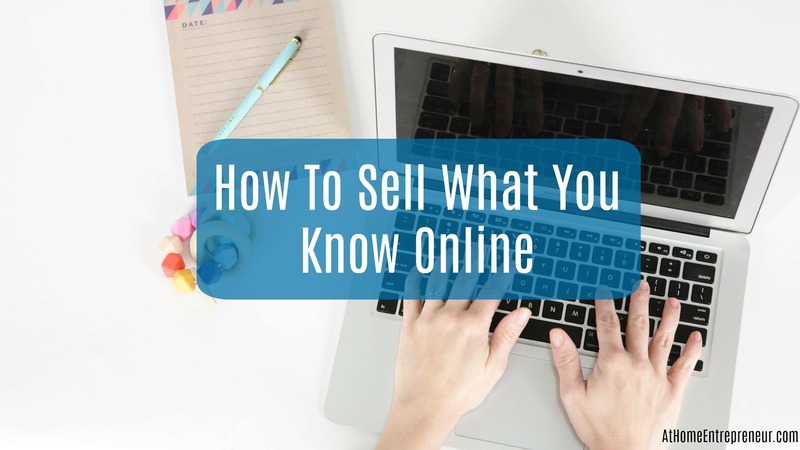 I dive into the niddy griddy details of all things starting a business and selling what you know in my 4 Week “Build Your Online Business” For The Busy Mom which I highly recommend if you are ready to dive in start selling what you know! Being a mom can be crazy busy and hard work time and again. Being a mompreneur takes time, dedication, and passion. But I’m here to tell you that you CAN do both and have amazing success with a little organization, time management, and amazing content! I promise to be here to help walk you through each step to get your business off the ground and running full steam ahead! If you know another mom wanting to learn how to be a mompreneur I ask that you share this with her! I want us all to succeed this year, it’s going to be AMAZING!